We have been disrupted. The current rapid cycles of accelerated change require we continually update our mental maps, contextual references, and overall cognitive operating system. Education led to being educated. We were once educated—a linear path to expertise—for known career trajectories. Today we must develop learning agility. Learning is continuous and infinite. Design is a constant pursuit of discovery and, as such, uniquely suited for such a new paradigm. Design lives in the VUCA (Volatile, Uncertain, Complex, and Ambiguous) with a sharp focus on honing the uniquely human skills that cannot be automated. 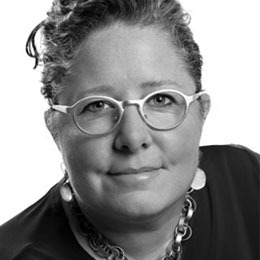 Heather McGowan's talk will explain why there has never been a more important time for design, both the design of new artifacts as contextual references morph and new mental models merge as well as the design of interventions, systems, processes, business models, and experiences.